Whenever we think of snow-covered winters and skiing, the first thing that comes to our mind are the Swiss Alps, the wonderful Alps in Italy and even those out there in France. However, not everyone can afford those expensive chalets in heavenly settings. So what do you do when you want that skiing fun without all the expensive money they require? You head on up to these exciting budget destinations of the world! 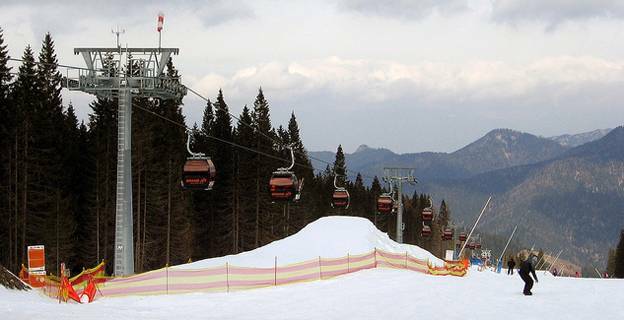 When it comes to size, Jasna is one of the biggest and best ski resorts in Slovakia. A part of the Low Tatras National Park, you rise up to over 2,000 metres and enjoy every bit of the 1,000 metre vertical drop its ski slopes offer. The resort has seen a lot of investment in the near past, and is easily one of the best places in Europe to ski in. With five free-ride areas and five months of snow every year, you can plan your holidays well ahead of time! Put a £110 pound cost to a 6-day ski pass and it doesn’t come much cheaper! This is one of those heavenly places that we yearn for when looking for skiing holiday destinations. There are lines of pine and birch trees to match the beautiful snow on the floor. What’s best, there aren’t too many people who know about it, making it relatively emptier compared to those popular ones that resemble a movie theatre lobby during an interval. 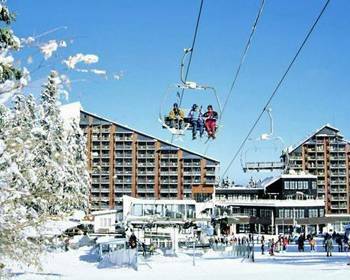 The ski lodge, a magnificent wooden structure, is placed on the edge of one of those slopes, and skiers are serviced with a fantastic 6-seater lift. With tonnes of new changes being brought into the region, Kolasin is surely one of the cheapest places to be. If you thought Jasna was cheap, you should look at the £78 price tag on this wonderful location. 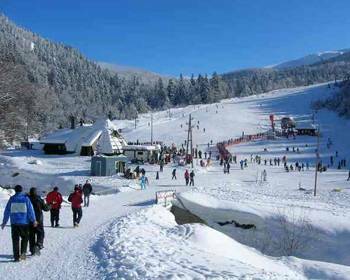 If you are looking for a good bargain on your ski trip, then Borovets is a nice place that offers a bit of everything. The town is just brilliant, cheap and wonderful for people who are looking for a great holiday. One of the oldest ski resorts in Bulgaria, Borovets is a based in the Rila Mountains and has three separate zones. The upper half of the resort, above the tree-line, is all about wide open spaces with gentle slopes. The skiing experience is just brilliant – the instructors are world class and so is the equipment. At just £124 for a 6-day pass, you will find that Borovets slips as easily into your wallet as your skis do, down its slopes. Trois Vallees is known for its expensive locations and brilliant scenery, but somewhere along this heavenly region lies the cheap-equivalent of a fabulous French ski-vacation. Sure, there is no snow at the village level, the mountain doesn’t have the same extravagance and nor is the nightlife as vibrant as the other resort towns. However, what you do have is a wonderful skiing experience that starts at under £200 for the entire week. That tends to make up for those breathtaking slopes and fantastic view, mainly because the slopes and view here aren’t that far off from what you would expect at a brilliant ski resort. You’ll notice most tourists with some fantastic mountain hardwear gear from various prestigious brands including Ellis Brigham. Finally, we go to Italy where the duty-free zone of Livigno welcomes you to a wonderful resort for skiers of all ages. There are advanced slopes for skiers and snowboarders while those who wanted to go off-track are also catered to well. The best part of Livigno’s ski runs is the wonderful terrain park that combines pro-sized jumps with rails, kickers and a lot more. 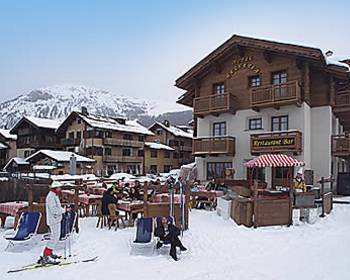 The food and stay is quite cheap and the 6-day skiing pass costs you just £161. A fantastic place for youngsters who love to ski, enjoy their drink and, hopefully don’t mix the two, together. There are plenty of places in Europe, in countries like Montenegro, Slovakia, Bulgaria, where skiing is as passionately pursued as in other popular destinations. These, however, aren’t as well known and popular as their illustrious cousins. However, that doesn’t mean that the skiing experience is any worse at any of these places. What it means is that you might find yourself in heaven, with very few people around you. When skiing, that isn’t necessarily a bad thing! Jean Grivaldi, the author of the “Five Budget Ski Destinations in Europe” is a ski instructor at the Val Thorens the highest resort in Europe at an altitude of 2,300 metres.